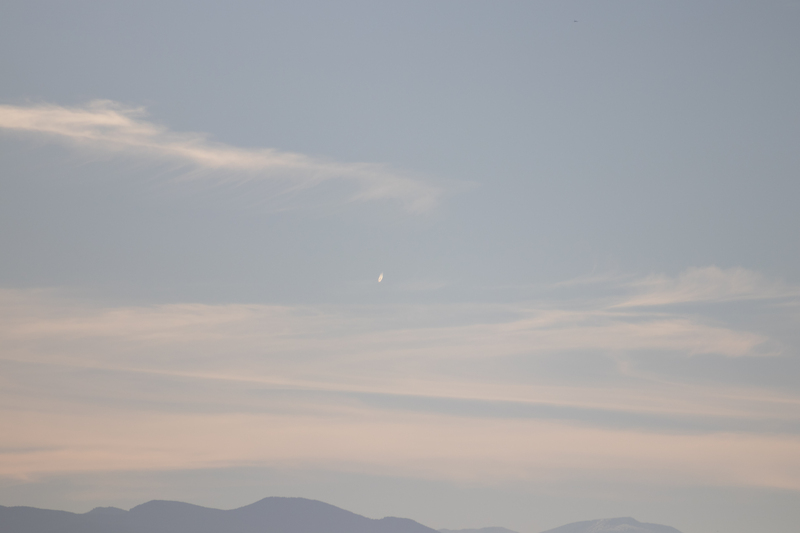 I was on my back deck when i noticed a glint in the sky over the rocky mountains a little to the south. 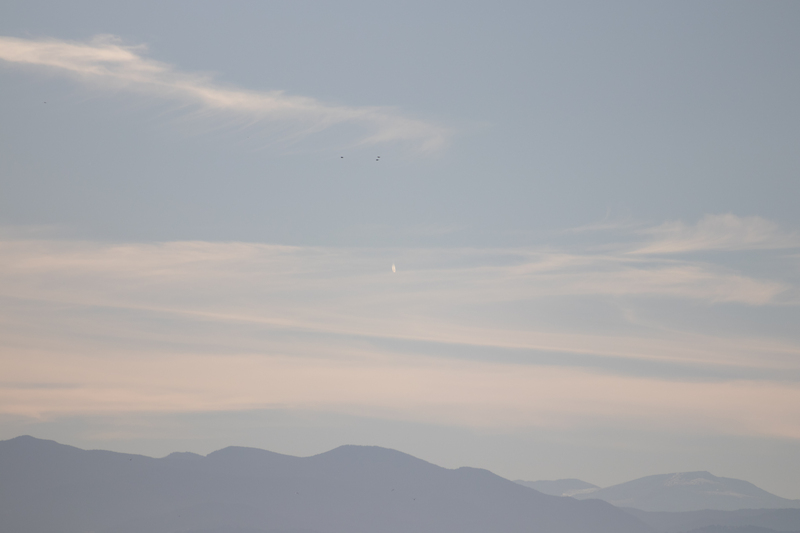 i thought at first it was an airplane, but as i watched it, i realized it was not. i got my camera and telephoto lens and took some pictures. the photos i took were over a 2-minute time period before i was interrupted by a phone call. it was descending very slowly. at first it looked to be descending in a slightly southward direction, but it changed its course slightly as it descended, and it was then coming almost straight down and then a bit to the north. although my camera's date and time is set correctly, the time on these photos indicate they were taken from 4:50 to 4:52 a.M., which is impossible as you can see from the pictures--which is something else rather weird. it was actually sometime between noon and 1:00, i believe, because i went outside when i let the dogs out while i took a break from work. this may be something totally normal, but i sure don't recognize what it could be. i didn't give it a lot of thought at first, but when i downloaded my pictures that evening, i noticed that it was something strange that i sure didn't recognize. i sent a couple of photos to the local tv station--channel 9 news asking if they had any other reports about this or if they knew what it was. i received no response. like i said, this may be something perfectly normal--maybe a piece of the chinese space station broke off early? i would just like to know what it was. this is the last thing in the world i ever thought i would do... i got a phone call that i rushed a bit, but when i went back out it was no longer visible.